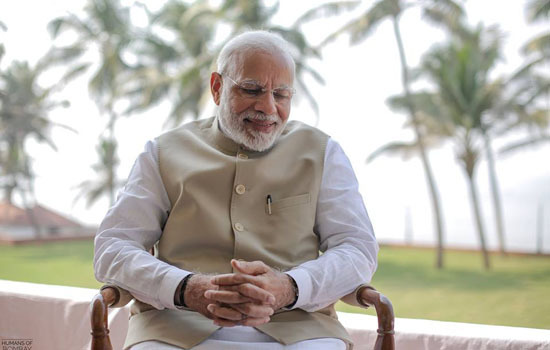 Hon’ ble Prime Minister Narendra Modi spoke about his childhood and humble beginnings to Humans of Bombay – a widely known blogging page on Facebook and Instagram that chronicles the stories of Mumbaikars and those who are associated with the city of dreams in some way or the other. “My family of 8 lived in a 40x12 feet house – it was small, but enough for us. Our days began early, around 5 AM when my mother would provide traditional forms of curing and healing to newborns and small children. Through the night my brother and I would take turns to keep the ‘chula’ going for her to use. She didn’t have the fortune of getting an education, but God was kind and she had a special way of curing ailments. Mothers would line up outside our house every morning because she was known for her healing touch. Still, even at that age, I strongly believed that God has made us all alike. It didn’t matter what circumstances I was born into, I could be something more. So when you ask me, what my struggles were, I’ll tell you that I had none. I came from nothing, I knew no luxury and hadn’t seen a ‘better’ life, so in my small world...I was happy.